Crown Prince Mohammed bin Salman on Saturday reiterated Saudi Arabia's readiness to support the extension of a global oil production cut agreement. "The Kingdom affirms its readiness to extend the production cut agreement, which proved its feasibility by rebalancing supply and demand," the crown prince said in a statement. 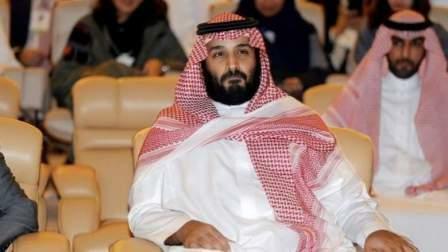 "The high demand for oil has absorbed the increase in shale oil production," Prince Mohammad added. Prince Mohammad made similar comments to Reuters in an interview published on Thursday about the position of the Kingdom towards the extension of the oil deal and condition of the market. "We will support anything to stabilise the oil demand and supply," he told Reuters when asked whether the kingdom would support extending the agreement until the end of 2018. "I think now the oil market swallowed the shale oil supply, now we are regaining things again," he told Reuters. His comments gave a boost to oil prices, with Brent crude on Friday trading above $60 a barrel for the first time since July 2015. Saudi Arabia, OPEC's biggest producer is leading OPEC and other oil producers such as Russia to restrict oil supplies under a global oil pact to drain global inventories and boost oil prices. The Organisation of the Petroleum Exporting Countries, plus Russia and nine other producers, have cut oil output by about 1.8 million barrels per day (bpd) since January. The pact runs to March 2018, but an extension is under consideration. OPEC and non-OPEC producers meet on Nov. 30 to set oil policy.